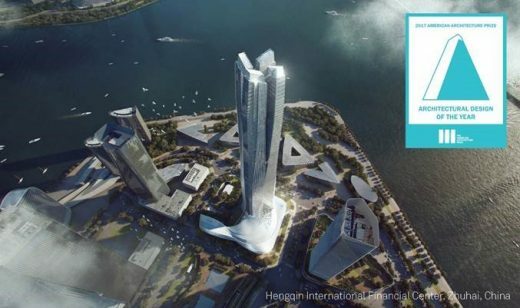 Hengqin International Financial Center in Zhuhai, China, designed by Aedas’ Global Design Principals Andy Wen, Keith Griffiths and Executive Director Ed Lam, was named the ultimate Architectural Design of the Year as well as category winner for Architecture Design – Tall Building. 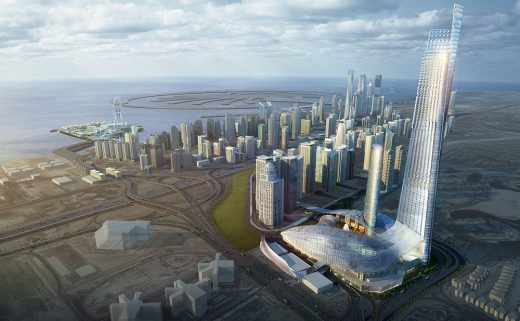 Aedas wins Architectural Design of the Year at The American Architecture Prize 2017. Paul Ferro, Robert J. Giannini, John Marx, and James Tefend of Form4 Architecture have been selected as the 2017 American Prize for Architecture Laureates, announced by The Chicago Athenaeum: Museum of Architecture and Design and The European Centre for Architecture Art Design and Urban Studies, which jointly administers the award that is known nationally and internationally as America’s highest public tribute for architecture in the United States. The four architects from San Francisco have worked collaboratively since the founding of their firm Form4 Architecture in 1998. Their work demonstrates a willingness to transcend architecture norms by pushing the envelope to create a fresh, intellectual approach to form and space-making and architectonic expressionism. Their designs are relative to the environment and stand the test of time. The firm believes that their best buildings are a balance-contemporary, yet enduring; rational, yet provocative. 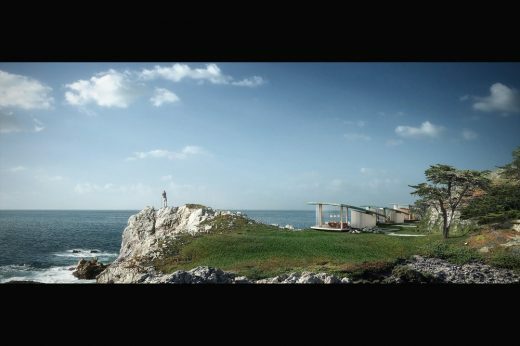 Form4 Architecture strives to create rational, empowering, and dynamic architecture. 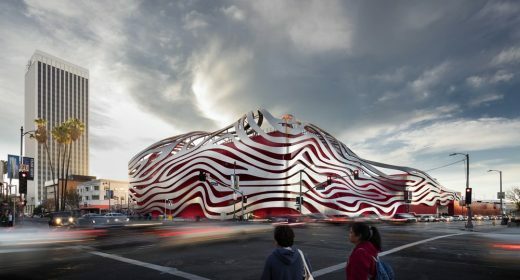 Established in 1994, The American Prize for Architecture also known as The Louis H. Sullivan Award , is given to outstanding practitioners in the United States that have emblazoned a new direction in the history of American Architecture with talent, vision, and commitment and has demonstrated consistent contributions to humanity through the built environment and through the art of architecture. The award, organized jointly by two public institutions, The Chicago Athenaeum and The European Centre for Architecture Art Design and Urban Studies, honors American architects, as well as other other global architects practicing on those continents, whose body of architectural work, over time, exemplifies superior design and humanist ideals. 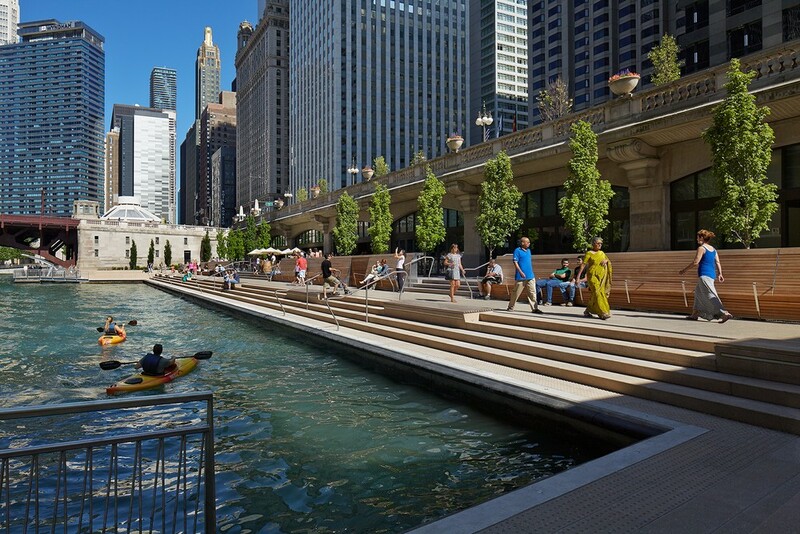 The American Prize for Architecture pays tribute to the spirit of the founder of modernism, Louis Sullivan, and the subsequent generations of Chicago practitioners as Frank Lloyd Wright, Daniel H. Burnham, and Holabird & Root. It also broadcasts globally the significant contributions of America’s rich and inspiring architecture practice and its living legacy to the world at large. Previous American Prize Laureates include: Sir Norman Foster, Michael Graves, General Services Administration, Richard Meier, and, most recently, Adrian Smith + Gordon Gill Architecture. “These may well be the ultimate, true romantic architects,” continues Narkiewicz-Laine. Form4 Architecture principals-Giannini, Marx, Ferro, and Tefend-are personally involved with every project from concept to completion, bringing the collective wealth of years of expertise and knowledge to each client’s vision. Since 1998, the firm has built a rich portfolio of award-winning work for national and international clients within diverse market sectors. Form4 is a San Francisco based firm with currently 25 people. They have received more than 42 national and international design awards in 2016, and to date, we have received a total of 116, including awards from The Chicago Athenaeum, The European Centre for Architecture Art and Urban Studies, WAN, Architizer A+, German Iconic Awards and the World Architecture Festival. As the cofounder of Form4 Architecture, Robert J. Giannini, formerly with Dowler-Gruman Architects and DES Architects, has over 34 years of successful architectural experience. He has held multiple leadership roles in project design and execution. He has a special expertise in sustainable design and is responsible for several LEED Platinum and Net Zero Electric buildings. He received both Bachelor and Master of Arts degrees in Architecture from the University of California at Berkeley. John Marx is responsible for developing Form4 Architecture’s design vision and philosophical language in his role as design principal. Prior to joining Form4 Architecture in 1998, he was a design director at KMD Architects. Earlier in his career, he held the position of designer at DES Architects, HOK, and Warren Callister Architects. He received his Bachelor of Science in Architecture Studies with High Honors from the University of Illinois. His first book, Wandering the Garden of Technology and Passion (Balcony Press, 2012), is a study of digital design that explores two decades of his international and national design work in 2006. 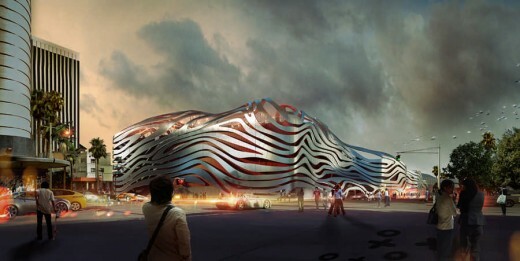 He exhibited his design work at the Venice Biennale of Architecture in the GAAF exhibition. Paul Ferro is committed to creating welcoming project environments, ensuring that concepts and goals are carried through and ultimately realized. His expertise ranges from office shells and interiors, to athletic facilities and retail/ mixed-use, as well as residential projects. He began his professional career in 1992 as a design intern at DES Architects, where he was named project designer in 1995. In 1997, he relocated to Dowler-Gruman Architects as a project designer before co-founding Form4 Architecture in 1998. 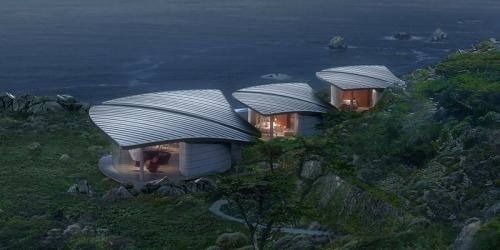 He received his Bachelor of Arts in Architecture from the University of California at Berkeley. James Tefend provides comprehensive building code, planning, and site utilization strategies for new and existing building renovation and adaptation projects. He began his professional career in 1991 as designer at EOA Architects in Nashville, Tennessee. In 1994, he became a project manager at Group 4 Architects in San Francisco. In 1997, he joined Robin Chiang & Company. He started at Form4 Architecture in 1999 and was promoted to principal in 2016. 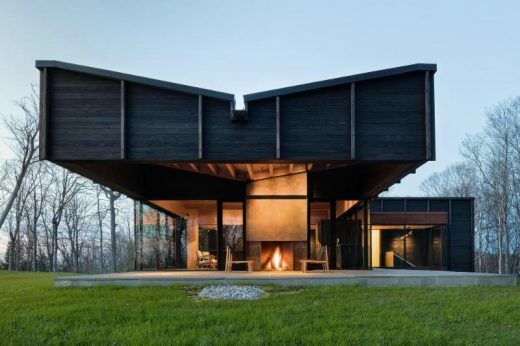 He received a Bachelor of Art in Architecture from Washington University in St. Louis and a Master of Architecture from Georgia Institute of Technology. 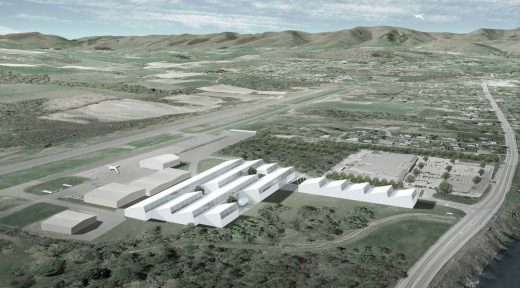 Notable projects include Hanover Page Mill (Palo Alto, California, 2016), which won a Green Good Design Award in 2017; Santa Clara Art and History Building, Santa Clara University (Santa Clara, California, 2016); Dominican School of Philosophy and Theology (Berkeley, California, 2005); Netflix Headquarters Expansion (Los Gatos, California, 2015); VMware Headquarters Campus (Palo Alto, California, 2014-present); Luminous Moon-Gate: Cultural Center (Taichung, Taiwan, 2014) which also won a Green Good Design Award in 2015. 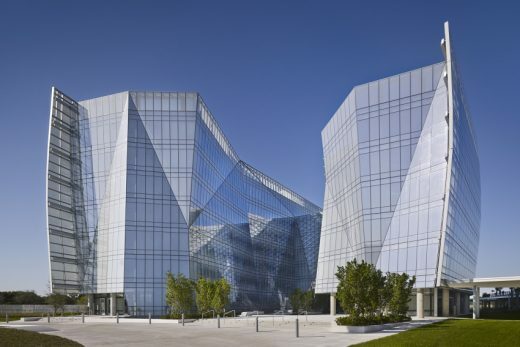 The Firm’s Curve Technology Park at Stanford Research Park (2017) celebrates the creative process of invention with its peaks and valleys of sweeping metal curves serve as architectural metaphors for the highs and lows of exploratory research and development. 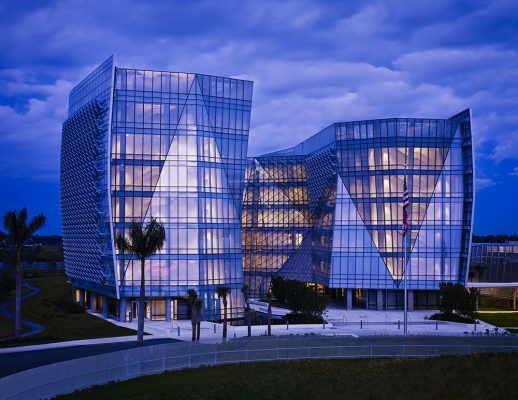 Arranged around a central landscaped courtyard with diagonal pedestrian paths leading from adjacent streets through the site, each 35-foot-tall structure comprises two offset wings flanking a central, glass-faced lobby to break up the building mass. 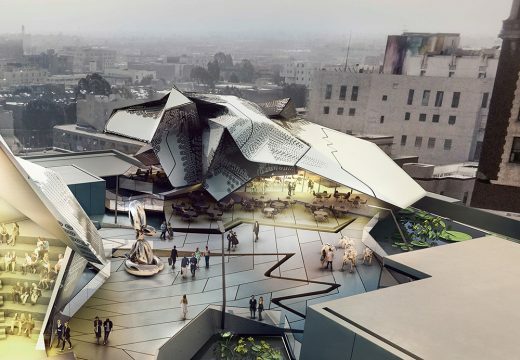 On the building exteriors, projecting roofs and deep overhangs-to be fabricated of painted recycled aluminum-are configured to express the roller-coaster evolution of innovation. Falling Lotus Blossoms: EON IT Park (2012), located in the seventh largest metropolis in India, is an elegantly arranged quartet of buildings, totaling 4 million square feet. The design originated from different iterations of the petal shape from India’s national flower, the white lotus. The four “petals” are arranged like a four-leaf clover in plan with an open space at its center. In part a response to the extreme heat and humidity and the goal of populating the outdoor spaces for more than just a few months of the year, the buildings themselves contain semi- conditioned, shaded atrium spaces that serve as meeting or gathering areas for the building occupants. At dusk, each courtyard morphs into a giant kaleidoscope by the delineation of building elements with neon lighting. The firm’s Oasis: Silicon Valley Technology Center (2014) in Santa Clara, California, conceived as an iconic beacon for innovation and design, sits majestically on it site with a suspended garden in the midst of futuristic buildings systems. The 13-story building, intended as a prototype for tomorrow’s work place, is supported by a transparent podium and sheathed in a large expanse of glass. As the ground curls into a canopy, a spacious public café at the end captures the pedestrian flow. The form is largely iconic and stands provocatively in its Silicon Valley site. Many of the firm’s best work has resulted in international competitions with renderings that are intricately and beautifully rendered as romantic works of art in and of themselves. The Lyrical Seashore: Kaohsiung Maritime Cultural & Music Center (2010) in Kaohsiung, Taiwan embraces a sizable portion of the city’s harbor in one sweeping move. Operating as architecture and urban design, the design distributes volumes of program on a prominent tray of liminal land with the intention of intensifying the urban pulse. The sensuous yet logical form of ships and the fluidity of music are the primary themes drawn from the program and site, setting the tone for the seductive spatiality and repertoire of shapes. Likewise, Crashing Waves: Tongyeong Music Hall (2009) in Tongyeong Harbor, South Korea comprises two elements: the upper level, with its metaphorical frozen undulation of water waves and the podium, which at ground level starts as a landform that mimics the ocean. The calm “water” at the base builds into a spatial crescendo culminating in the vertical glass elements that define the lobby. These elongated pieces become sculptural, slightly arching to become emblematic “foam.” The visual result is one of abstracted waves crashing together. 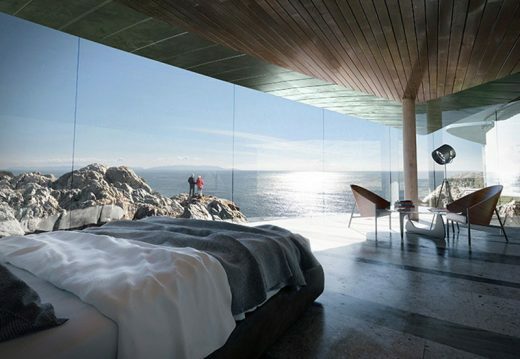 Their recent project, Sea Song (2016), a residential building in Big Sur, California won a 2017 American Architecture Award and a 2016 Green Good Design Award for its dream-like design sitting majestically on the California Coast below the Monterey Basin. 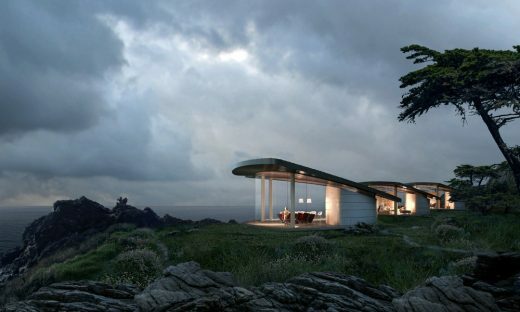 The house epitomizes wilderness, the manifestation of the sublime on earth. It inspires awe, commands undivided attention, instills devotion. Its grand presence is palpable and emotionally overwhelming. Inhabiting this environment is a unique occurrence calling for an equally unique architecture. “Research is integral to renewing the thought process on how work can be performed. The findings of our design experiments are then looped back to foster new opportunities for alternative reasoning to default thinking. In these targeted inquiries, place-making, emotional meaning, the ubiquitous impact of the digital, and the complexity of public space are but a sample of the themes our workforce labors on to promote a new angle from where to look at things and shape what is yet to come. “Ultimately, Form4 Architecture,” continues Narkiewicz-Laine, “believes architecture is the art of giving form to ideas. The collaboration of these four architects produces uncompromising architecture of a poetic level, representing timeless work that reflects great respect for the past, while projecting clarity that is of the present and the future. “Their intensely collaborative way of working together, where the creative process, commitment to vision and all responsibilities are shared equally, led to the selection of the three individuals for this year ‘s award,” states Kieran Conlon, Director, The European Centre for Architecture Art Design and Urban Studies. “We are thrilled that this year four professionals, who work closely together in everything they do, are recognized with this national public award,” concludes Conlon. 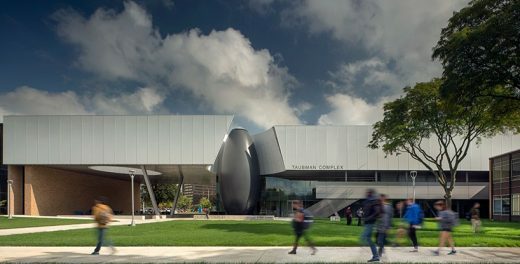 This year, the American Prize for Architecture ceremony takes place at the Orlando Museum of Art, on April 27, 2017 together with the 2017 American Architecture Awards. Individual Tickets are $200 and can be purchased at The Chicago Athenaeum by calling +815/777-4444 or by email at Jennifer@chicagoatheneum.org. An exhibition honoring Form4 Architecture opens at Contemporary Space Athens, Athens, Greece in July, 2017 and is scheduled to travel in Europe and in the United States in 2017-2018. 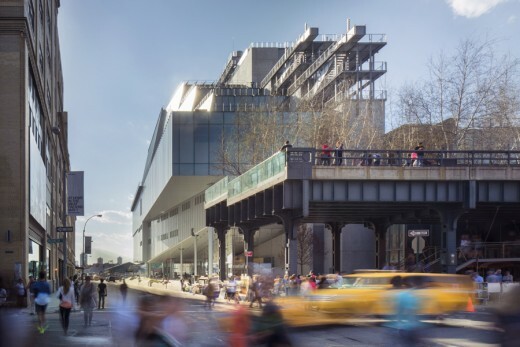 A monograph of the firm’s projects is planned by Metropolitan Arts Press for summer 2017. 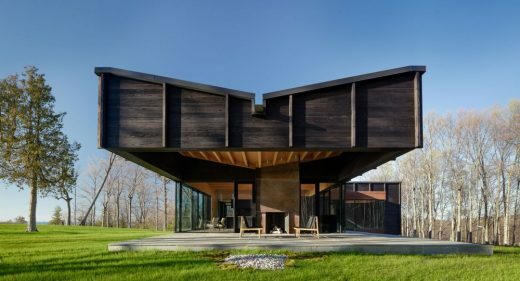 Seventy-nine shortlisted buildings have won the prestigious 2017 American Architecture Awards ® for the best new buildings designed and constructed by American architects in the U.S. and abroad and by international architects for buildings designed and built in the United States. About The Chicago Athenaeum (www.chi-athenaeum.org) is a global nonprofit education and research institute supported by its members. Its mission is to provide public education about the significance of architecture and design and how those disciplines can have a positive effect on the human environment. About The European Centre for Architecture Art Design and Urban Studies (www.europeanarch. eu) is dedicated to public education concerning all aspects of the built environment – from entire cities to individual buildings – including the philosophical issues of arts and culture that ultimately give the nal shape to design. A high emphasis exists on contemporary values and aesthetics, conservation and sustainability, and the theoretical exploration and advancement of art and design as the highest expression of culture and urbanism. Winning Projects to Be Exhibited at the 14th International Biennial of Architecture Buenos Aires in September. 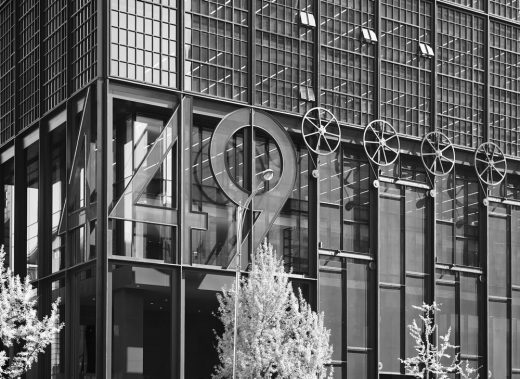 The Chicago Athenaeum: Museum of Architecture and Design and The European Centre for Architecture Art Design and Urban Studies have selected sixtyfive new buildings, commercial and institutional developments, and urban planning projects for The American Architecture Awards for 2013. Hundreds of submissions were received for this year’s annual Awards Program from the best architecture firms from across The United States for projects designed and / or built in the US or abroad since 2010. The awards program, the most prestigious in the United States, honors new skyscrapers, commercial buildings, urban plans, private residences, and real estate projects that achieve a high standard of excellence in design, construction, planning, and sustainability and promote the best practice in all types of real estate development for the private and public sectors, including new skyscrapers, high rises, corporate and institutional buildings, commercial projects, city planning, restorations and adaptive reuse, religious and civic buildings, and interiors. October 14, 2017 in Awards.